So, you were pulled over and received a speeding ticket. You may be worried that this ticket will jeopardize your license and increase your insurance costs. The Law Office of Kenneth P. Carp can help keep protect your license from points. As a former Special U.S. Attorney, part-time judge and military JAG, and with over 20 years of experience, Kenneth Carp will be there for you. Will points be assessed to my license? Having an experienced attorney can help. With more than 20 years of legal experience, our St. Louis-based firm strives to provide detailed guidance to clients in Missouri. Our staff strives to offer the detailed advice you need to understand your various options. Contact us to schedule a free consultation to discuss your specific concerns and learn how we can be of assistance. Our St. Louis speeding ticket lawyers are dedicated to providing personalized support to every client we represent. Operating under that philosophy, we conduct a careful examination of your situation and your goals before offering the tailored advice you need to find resolutions. This personalized representation often allows us to find favorable resolutions. The attorneys at The Law Office of Kenneth P. Carp know the rules regarding speeding tickets and get those rules to work for you. 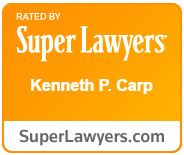 With more than 20 years of court experience, senior attorney Kenneth Carp, a retired Lt. Colonel with the US Air Force, has the right experience to represent you. Call 636-947-3600 to schedule an appointment.